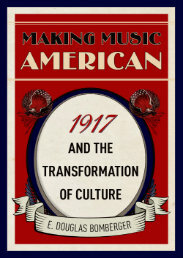 The year 1917 witnessed a dramatic shift in American musical life, as the United States’ entry into World War I forced Americans to reevaluate their musical tastes. The Austro-German musicians who had dominated classical music for generations came under suspicion, and the new genre of jazz proved ideally suited to the anxious mood of wartime. Aiding this transformation were major improvements in recording technology of both classical and popular music. Featured image credit: Lieutenant James Reese Europe, ca. 1919. Underwood &Underwood, Public Domain via Wikimedia Commons.